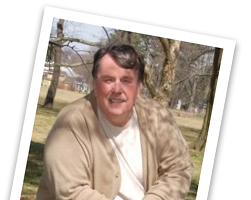 A native of Pottsville, Pennsylvania, Larry honed his writing skills as a high school sports reporter for the West Schuylkill Herald in Tower City, Pennsylvania and was first published in a college literary journal. He later enlisted in the U.S. Navy and served a tour of duty in Key West, Florida and Kenitra, Morocco as an air traffic controller. To this day, one of his favorite anecdotes revolves around a chance meeting with John Steinbeck in a Key West bar. Larry is a graduate of Elizabethtown College and pursued a master’s degree at Temple University. He has resided in Florida, South Carolina, Pennsylvania, and Washington, DC, where his first job was that of apprentice fingerprint analyst with the FBI. Additionally, Larry has held positions with several Fortune 500 companies. He was CEO of his own media marketing group for ten years, during which time he taught courses at Franklin and Marshall College’s Adult Education Program. Larry resides in Lancaster, Pennsylvania, where he is an active Thirty-Second-Degree Mason and member of the Correspondence Circle of the Quatuor Coronati Lodge of Research of England. He also volunteers with SCORE, a sanctioned organization of retired business executives. Larry and his wife enjoy travel and make regular trips to the South of France. Hawaii has been a repeated favorite destination, and they spend as much time as possible at the Delaware Shore. Now retired from the corporate world, Larry reserves most of his time for writing and research. 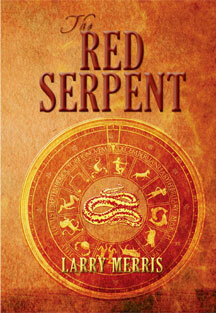 His novel, The Red Serpent, has been in the works for several years. He is presently working on the second and third novels in the series.